This past weekend, Madisynn Bryk, Mya Blochling and Kim Miller received All-Ohio Honorable Mention awards for Division 3 Volleyball. 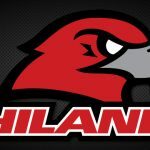 Congratulations to these Lady Hawks for such a high honor! The volleyball program had their awards banquet on Monday, November 21st. Receiving special awards (L to R): Madison Yoder – Most Improved; Kimberly Miller – Most Assists; Madisynn Bryk – Most Kills; Brittany Wengerd – Most Digs and Miss Volleyball. Congrats to the volleyball program on their great season! 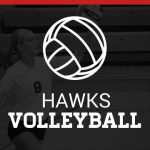 Lady Hawks advance to the District Final game and play this Wednesday 10/26, 6pm at Meadowbrook High School. The Hawks will take on Fort Frye. The winner will move on to Regional Semi-Final play vs. the Medina District bracket at Lake High School on Wednesday 11/2 at 6pm.